When you've conquered one of the highest mountains in the country, you can sit in any pose you want, even that of a king! But people often aren't who they initially appear to be. That's Natorz my mountain guide within the Mt. 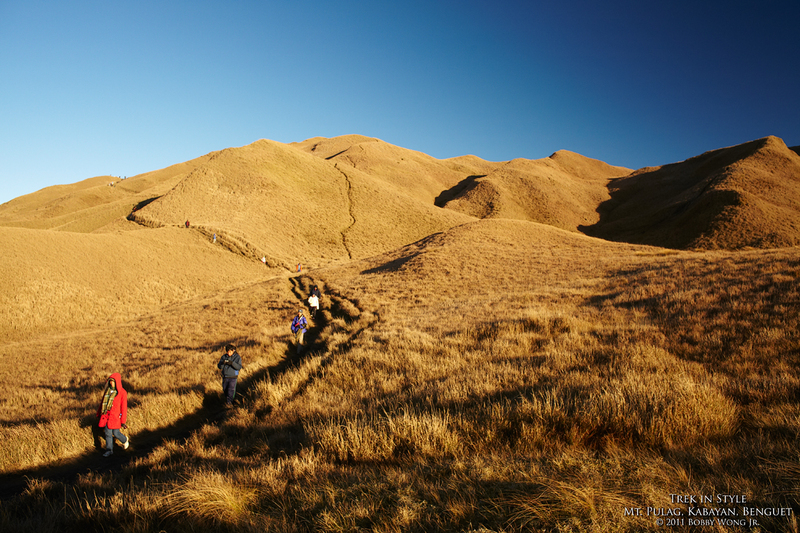 Pulag Nature Park in Benguet. He's a 32 year-old vegetable farmer with a new wife and a 10-month old son. He plants cabbages and carrots for a living, and sells them at P10/kg wholesale. But once a week he gets to guide a group of city folks through this mountain wonderland in exchange for a handsome wage. How handsome? About a week's worth of vegetable wages. He dreams of a regular job in the big city one day, but for now his world revolves around watching his vegetables grow. But for a brief moment this morning, he looked like the king of the hill. Now who could have known? Enjoy. The beauty of being an observer is that you can see what everyone else is doing, without being too busy doing it yourself. I was on the slopes of Mt. 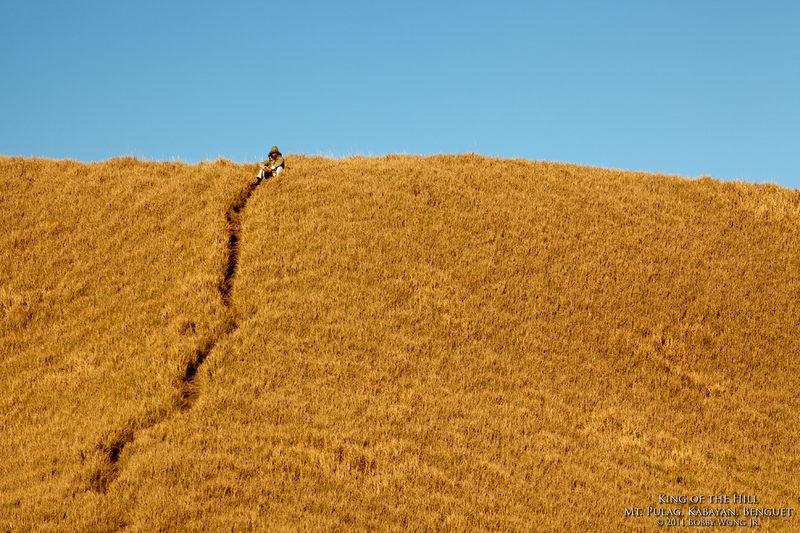 Pulag, more specifically on my way down its slopes, at a time when everyone else was headed towards the top. 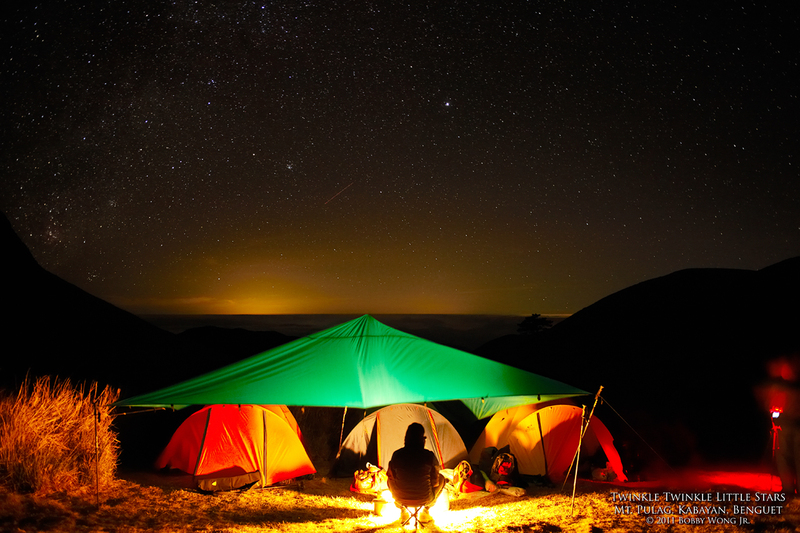 Around me, it was pitch black with just a deep blue sky studded with an infinite twinkle of stars. On the slopes, over a hundred trekkers braved the cold, and the climb, to reach the summit before the sun crests. 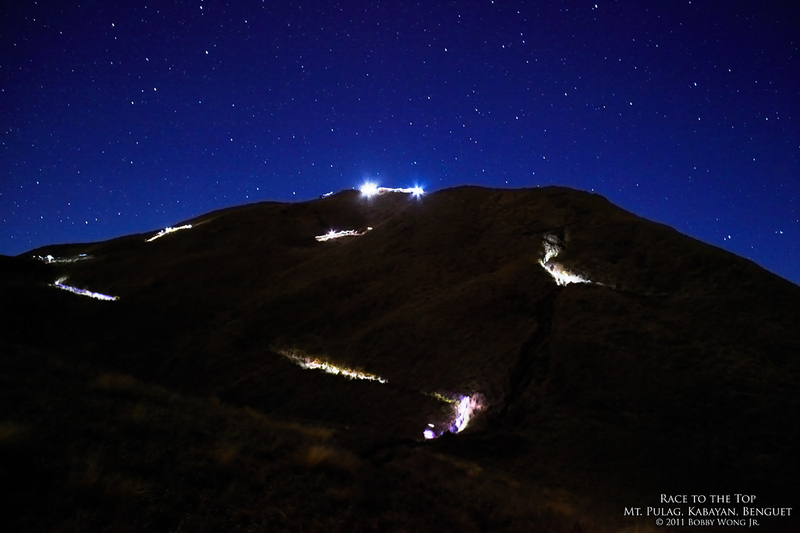 And as fate would have it, many followed alternate routes to the top, creating a spectacle that looked like a bunch of luminescent snakes crawling up a hill. Now would I have witnessed this if I had been busy scaling the summit myself? Enjoy.